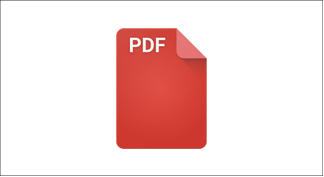 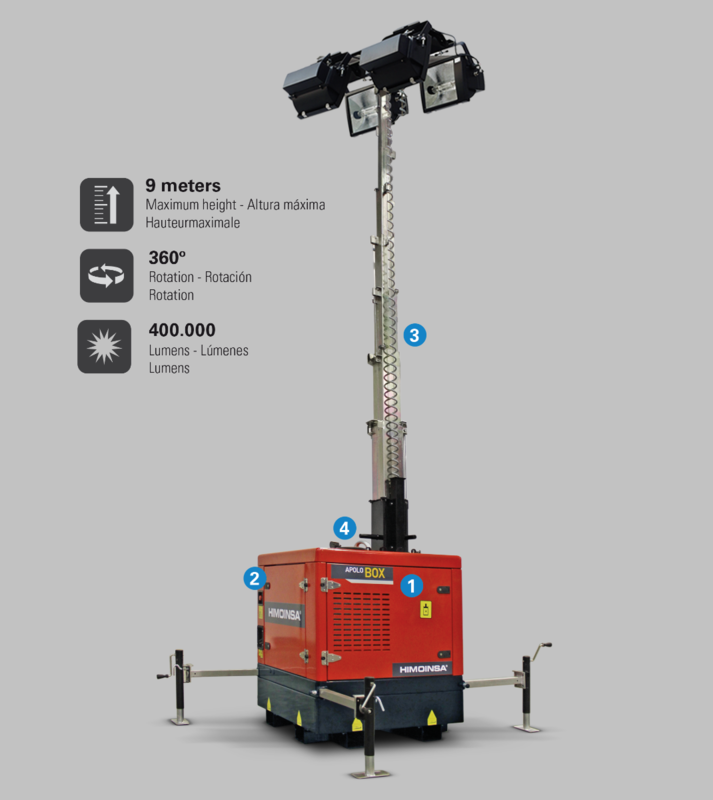 The size and characteristic square shape of the APOLO BOX lighting tower make it quick and easy to transport. 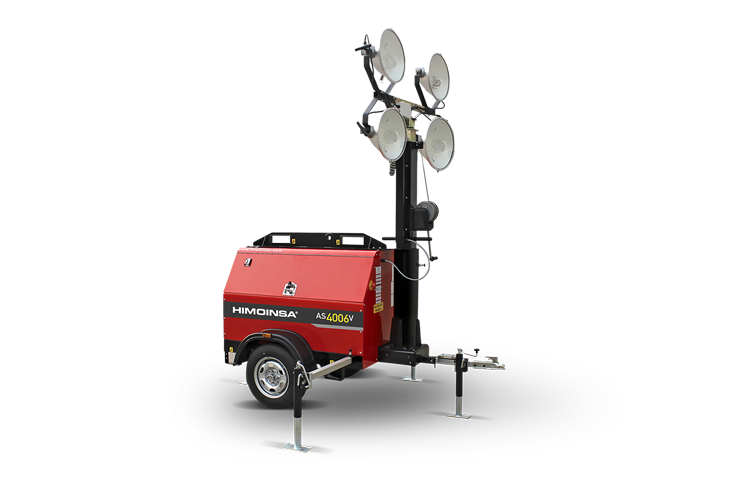 Up to 20 lighting towers can be transported in a single 40 ft container, making it a star product in the construction, leisure or events sectors. 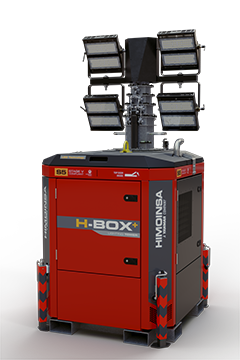 The small size of the APOLO BOX, in addition to its 126-hour running time, are also major advantages for work on roads and new infrastructures. 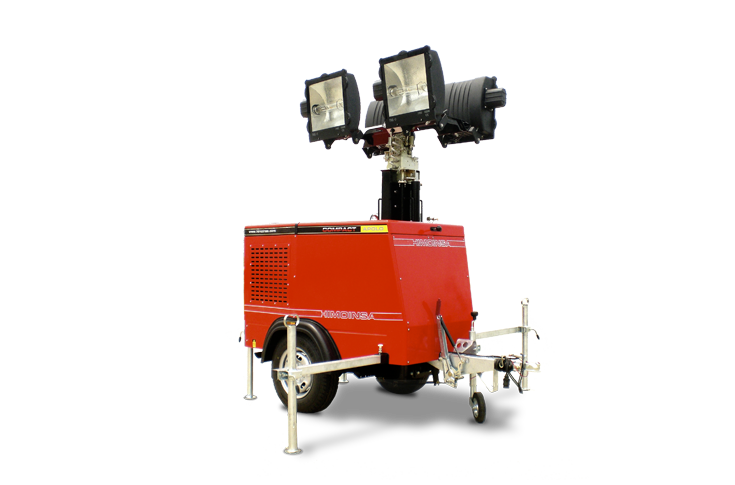 Its four 1000W spotlights can illuminate up to 33,000 square metres. 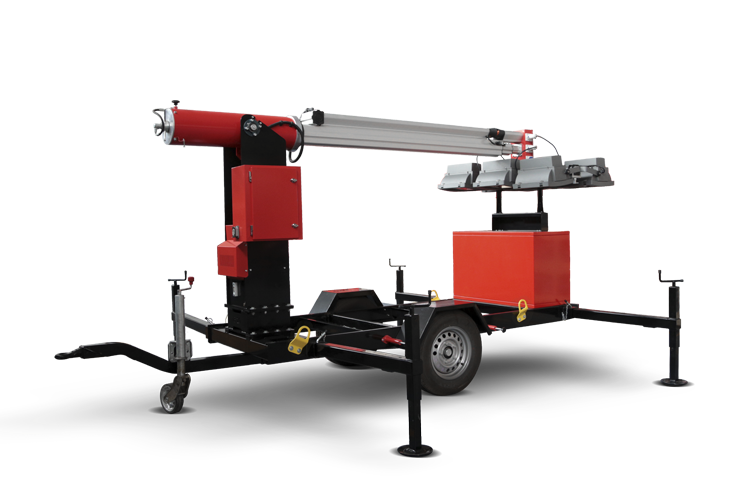 Its hydraulic mast can rotate 360 degrees and extends up to 9 metres in record time, taking less than 25 seconds. 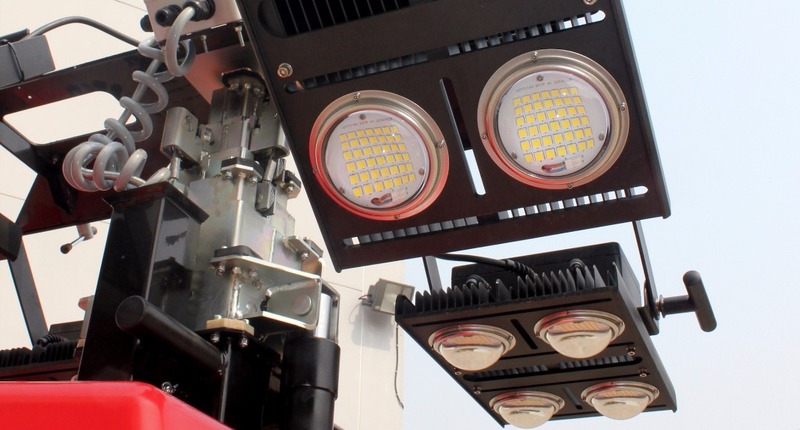 For those looking for lower fuel consumption, the whole APOLO series offers a LED version with 4 350W spotlights, guaranteeing greater energy savings.